Dispels positive buffs from targets. Becomes charged with Ancient Mana use causing area of effect attacks. If at maximum charge becomes immune to full disables. Charged Flare Tower shots no longer chain lightning. Instead, they do an area of effect splash attack. 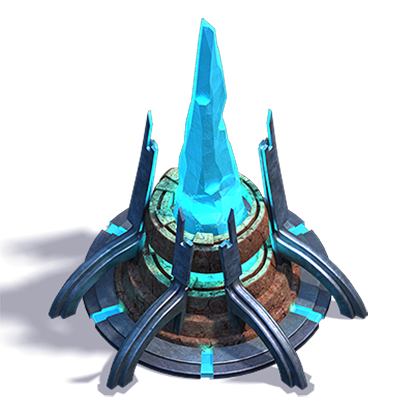 Damage numbers have not changed, however the tower generally does more damage as everyone in the splash damage area takes damage. Flare Tower shots now dispel positive buffs from the target i.e. Foreveils Frost Shield or Karis’ Flametongue. This dispel is exactly the same as the one on Pulse Lightning Spell Towers. At 100% charge (that’s 5 charges) a Flare Tower will make itself immune to full disables. This works similar to Skywatchers Reinforced Mithril upgrade while it persists. After the tower attacks and goes below maximum charge it will lose this effect. 1. Bastion. While the Flare Tower stands the castle takes 20% reduced damage from all sources. 2. Discharge. The Flare Tower attacks at half speed but deals double damage. 3. Power. The Flare Tower starts the battle fully charged.